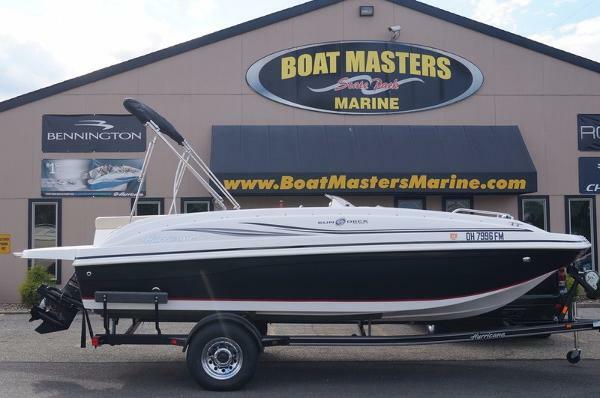 2008 Hurricane 202 GS 2008 HURRICANE 202 Deck / Volvo 5.0 V-8 Sale Price $17,900! 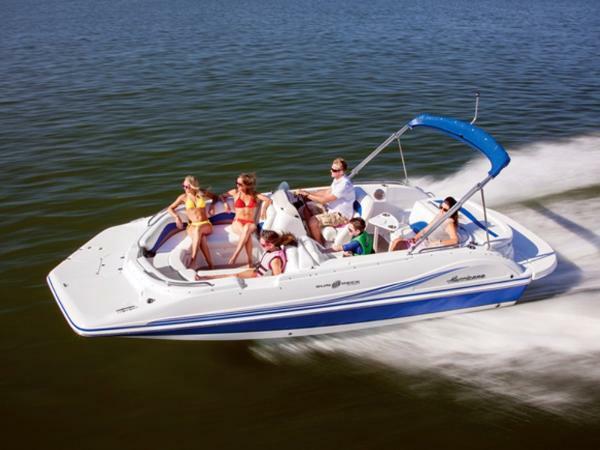 This 20 open bow Hurricane Deck boat is the perfect family fun in the sun weekend getaway machine! This package includes a Volvo 5.0L V-8 motor with the SX Volvo drive system, bimini top set, stereo, cover and custom drive on trailer. 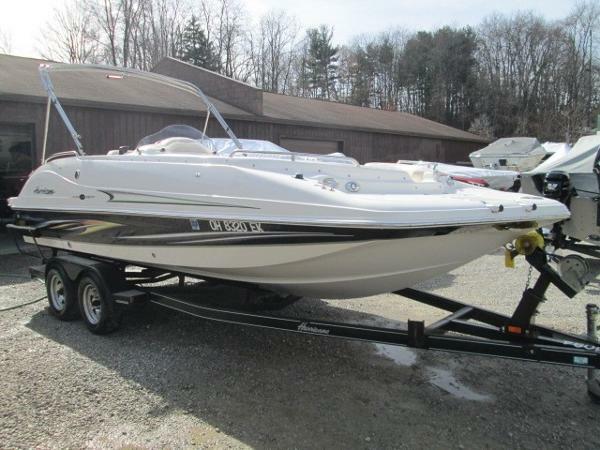 Nearly $1,000.00 in maintenance included in the package price for this boat. The boat also comes with a warranty and will be water ready! SALE PRICE ONLY $17,900! 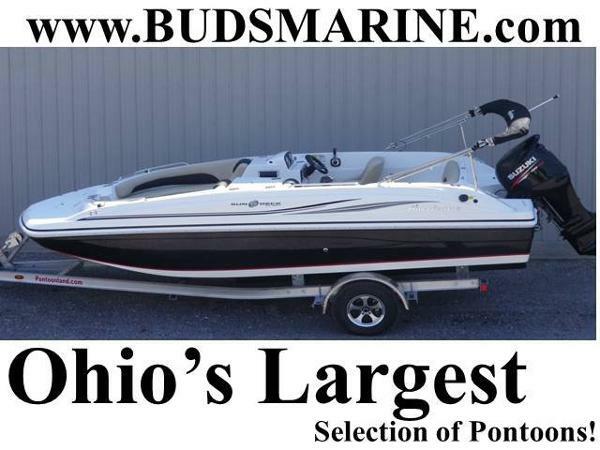 Portage Lakes Marine, Inc.
2007 Hurricane SunDeck 237 I/O SALE PENDING 2007 Hurricane SUNDECK 237 2007 HURRICANE SUNDECK 237 PACKAGED WITH A VOLVO PENTA 5.0, 220HP ENGINE! 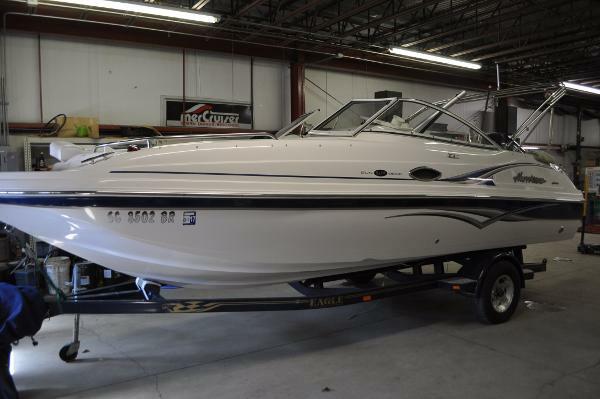 2004 Hurricane SunDeck 217 OB Dealer Owned - This recent trade-in is priced to sell! Recent Canvas - No Bottom Paint - Color GPS/Plotter 4 Stroke 200hp Yamaha Outboard Trailer is not included. 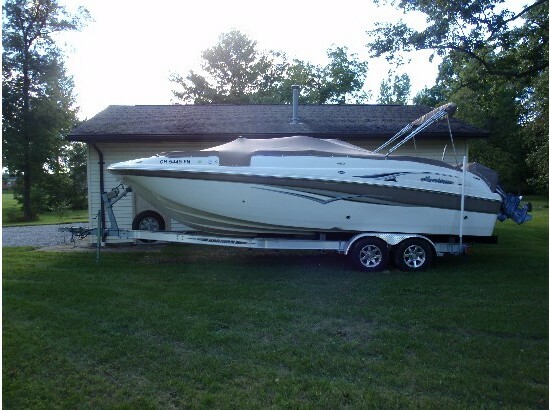 This boat is on site, please call to set showing appointment. Sales office is open Monday through Saturday 9AM-5PM. Closed on Sundays. 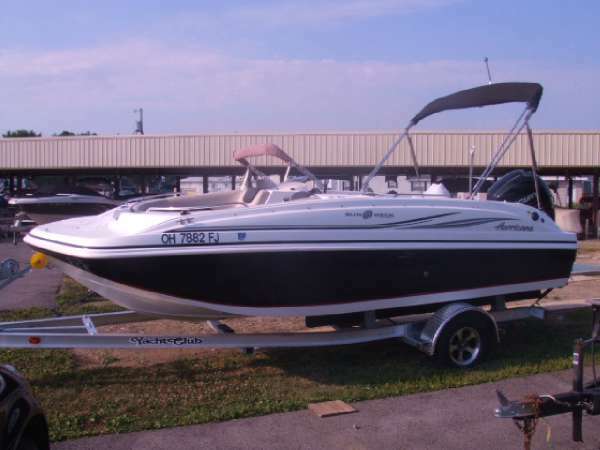 2000 Hurricane SunDeck 237 OB Hard to find pre-owned deck boat! 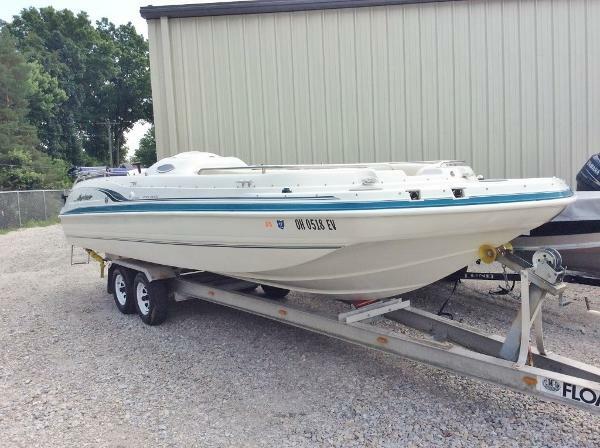 Includes trailer, cover, and 81' 225 HP Mercury engine. Good structural and mechanical condition. Very nice cosmetically on inside as well! Engine just tuned up by us. 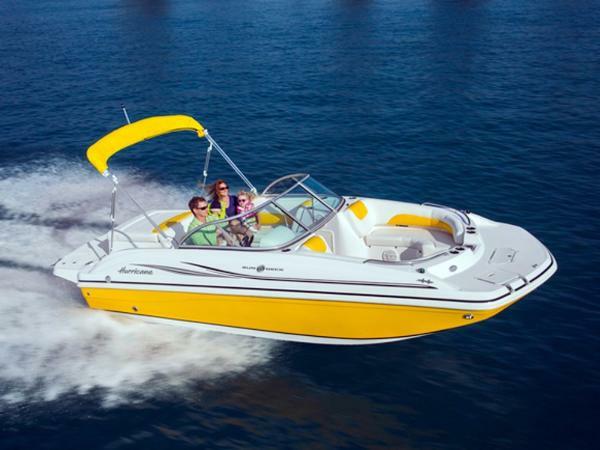 The Godfrey Hurricane SunDeck 237 O/B is a luxurious deck boat that offers styling, amenities, and performance to please the most discriminating buyer. Key features include a large entertainment center with sink, cup holders, 17-gallon fresh water system, and storage for gear. 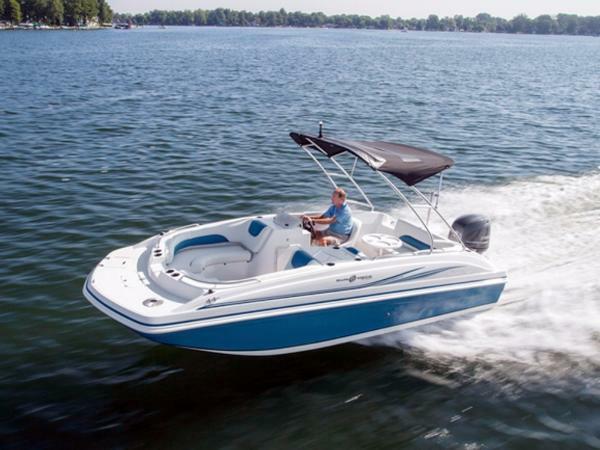 The 237 also has an optional bow sunlounge cushion, an enclosed head that offers additional storage space plus a convenient place to change clothes, and a standard stern bumper holder bracket. 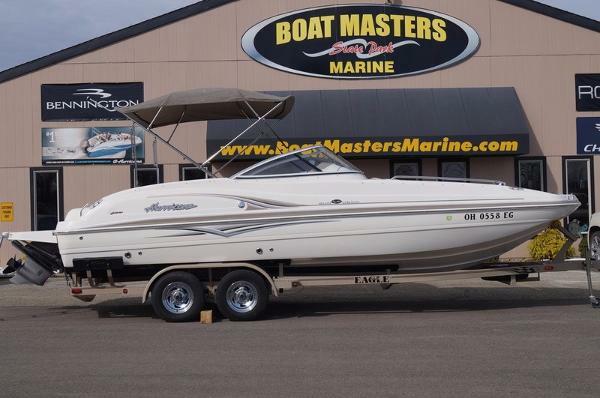 2015 Hurricane SDS 188 Please call or email for information.